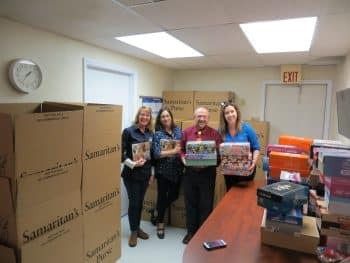 Daytona Beach prepared over 40 shoe boxes to donate to Operation Christmas Child. 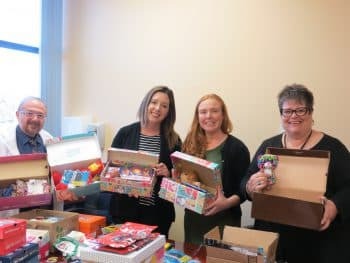 Boxes were filled with donations from students, faculty and staff, and included personal care items, clothing, school supplies, book-bags and toys that were packaged in adult sized shoe-boxes. The 40-plus boxes were filled over a two week period and then prepared for drop off. A team of Daytona Beach faculty delivered them to a regional drop-off point. The drop-off center then finished the prep process for shipping and the shoe-boxes were trucked to Atlanta, GA for overseas shipment and delivery to children in need, 2-14 years of age, throughout the world over the upcoming holidays.